The offshore Newport-Inglewood and Rose Canyon faults are part of the same fault system and could produce earthquakes of a magnitude 7.3 or greater, according to a study released by the Scripps Institution of Oceanography Tuesday. The faults, which run from San Diego to Los Angeles, had previously been considered separate. Instead, they are actually one continuous system running from San Diego Bay to Seal Beach in Orange County, then on land through the Los Angeles basin, according to the study, published in the American Geophysical Union’s Journal of Geophysical Research. “This system is mostly offshore but never more than four miles from the San Diego, Orange County, and Los Angeles County coast,” said lead author Valerie Sahakian, who performed the work during her doctorate at Scripps. “Even if you have a high 5- or low 6-magnitude earthquake, it can still have a major impact on those regions which are some of the most densely populated in California,” said Sahakian, now a postdoctoral fellow with the U.S. Geological Survey. An offshore quake could register as much as 7.3, however, while one on land could hit 7.4, she said. 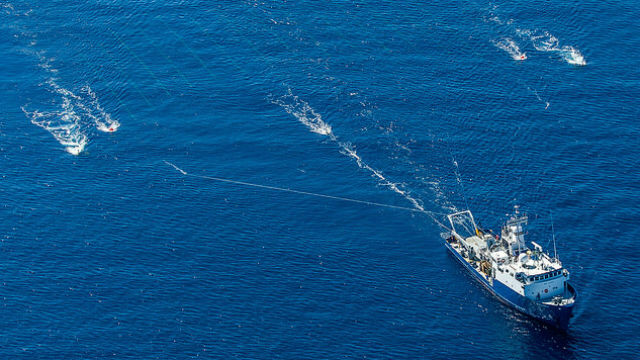 Researchers processed data from previous seismic surveys, and supplemented it with high-resolution underwater topography data gathered offshore by Scripps researchers between 2006 and 2009 along with seismic surveys conducted aboard Scripps research vessels in 2013. The disparate data have different resolution scales and depth of penetration, which allowed the scientists to define the fault architecture at an unprecedented scale and create magnitude estimates with more certainty, according to Scripps. The fault system most famously produced a 6.4-magnitude quake in Long Beach that killed 115 people in 1933. Researchers have found evidence of earlier earthquakes of indeterminate size on onshore portions of the fault, finding that at the northern end of the fault system, there have been between three and five ruptures in the last 11,000 years. At the southern end, there is evidence of a quake that took place roughly 400 years ago and little significant activity for 5,000 years before that. The Rose Canyon Fault runs alongside the northern San Diego County coast, comes inland around La Jolla, extends under downtown San Diego and winds up offshore again off Imperial Beach. The authors conclude that further study is needed to improve the understanding of the threat posed to urban areas between Tijuana and Los Angeles. Researchers at the Nevada Seismological Laboratory assisted with the study, which was funded by Southern California Edison.